Slotzo is an online casino that was rolled out towards the end of 2018. However, Slotzo is gaining full pace, and it is no doubt becoming a new point of fun for online gamblers. There is no doubt that Slotzo would make it to the hearts of players. It was only a matter of time, and it looks like that time has come. There is a long chain of top operators and providers that are involved in Slotzo. Firstly, Slotzo is a brand that is managed by Jupiter Gaming. Then there is Aspire Gaming providing the software for running Slotzo as well as AG Communications. In the end, Slotzo is open to players from all around the world. That’s because Slotzo enjoys access to multiple licenses from Government of Jersey; The MGA; the AGCC and the UKGC. Indeed, every player is covered. So, let’s see what Slotzo has in stock. Well, this is usually the motivating factor for many players. If the bonus is great, it makes it a lot easier to make that decision. Likewise, Slotzo understands that players love bonuses. Hence, they offer new players a first deposit bonus of 100% up to a maximum of £200. However, this bonus is strictly for new players who are making their very first deposit. As well, the player must earn a minimum deposit of £20 to enjoy this welcome offer. Also, Slotzo spices the proposal with an additional 100 extra spins. In the end, players must meet the minimum wagering terms before any request for a payout would be approved. At 35 times, there is no doubt that the wagering requirement is quite massive for such an offer. Yes, you could decide to skip the welcome bonus if you feel that the wagering requirements are too high. That leaves you with the other developments. Unfortunately, there are also not a lot of options here. At present, the Big Game Promotion is available, and it is quite rewarding. Interestingly, this is a wager-free promotion. Hence, whatever cash bonus that you receive can be used freely without any restrictions. To participate, all you have to do is place a bet of £20 on any of the listed games (Starburst; Twin Spin; Gonzo’s Quest), and you will receive one ticket. Players have access to a maximum of 50 tickets daily. Afterwards, Slotzo holds a draw and players get to win as much as £1000. Indeed, that’s a lot. The best part of this promotion is that almost everyone gets the chance to win at least a £10 wager-free cash bonus. In the end, they offer about 600 different titles. This includes top rated games such as Vikings go to Hell; Finn and the Swirly Spin; Asgardian Stones; Reel Bandits; Starburst; Avalon; Jungle Jim; Slot of Money; Gonzo’s Quest; Blackjacks; Roulettes; Baccarat and many more. Indeed, if you need help, you’ll get help. Slotzo is always there every day. However, they are not available at all times. Hence, players can only get help between 8 am and 1 pm every day. Even though this is not round the clock support, that’s about 17 hours of support time. Slotzo is making its entry in style. The platform offers so much in one place. Also, the quality of the games is breathtaking, and everything seems high at the moment. 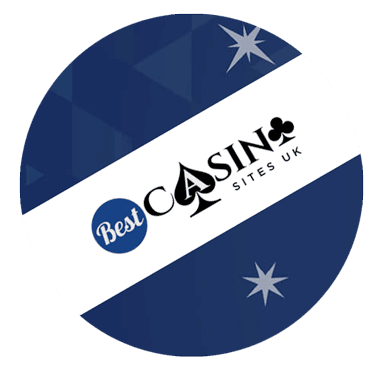 This is one of several great new brands listed at best casino sites 2019.